Stefan (Lukas Turtur) and Andreas (Philipp Hochmair) have it all: they love each other as much as on the first day, they have a beautiful home on the outskirts of Vienna, good careers with the Radio Symphony Orchestra where Stefan is musician and Andreas a scheduler, and a large circle of good friends. Completing their luck is Moses, a tomcat they adopt. But with an sudden act, their life as they used to know it is instantly over. 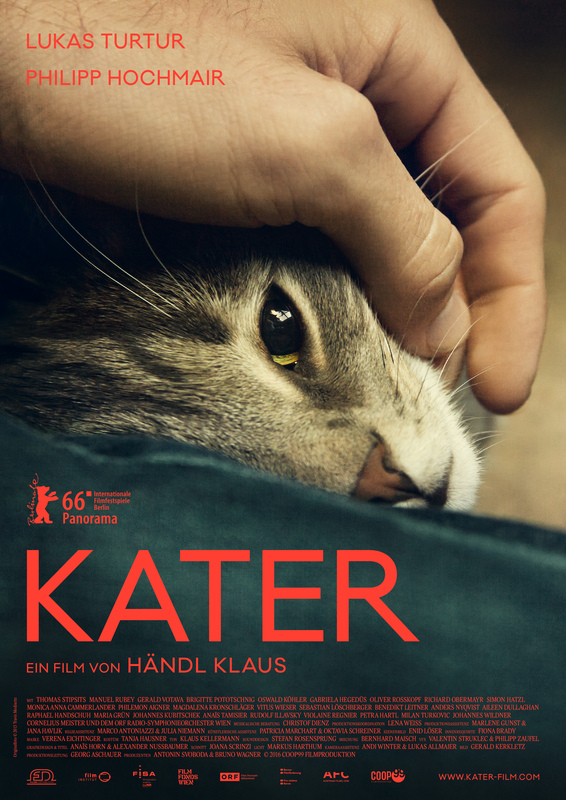 Kater is one hell of a film. 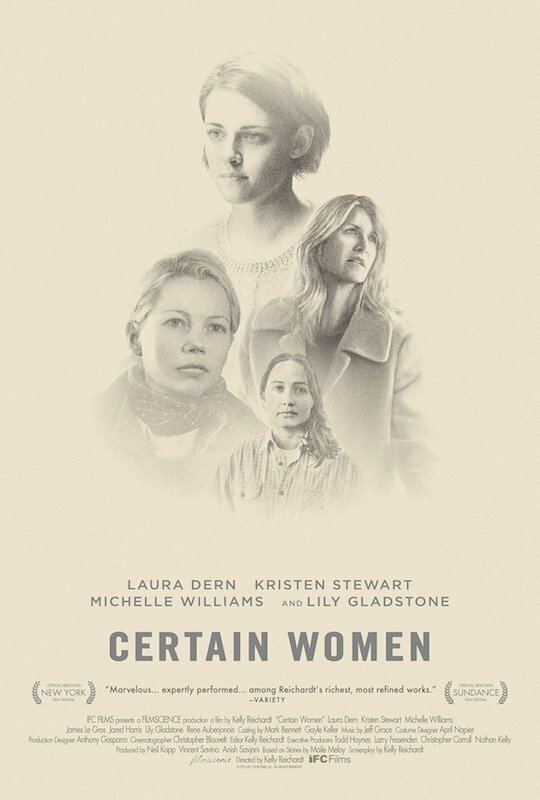 Well-acted, nice characters, beautiful music and emotionally engrossing, it shocked me like a film rarely has. It should probably come with a warning, but to specify that warning would also give too much away. 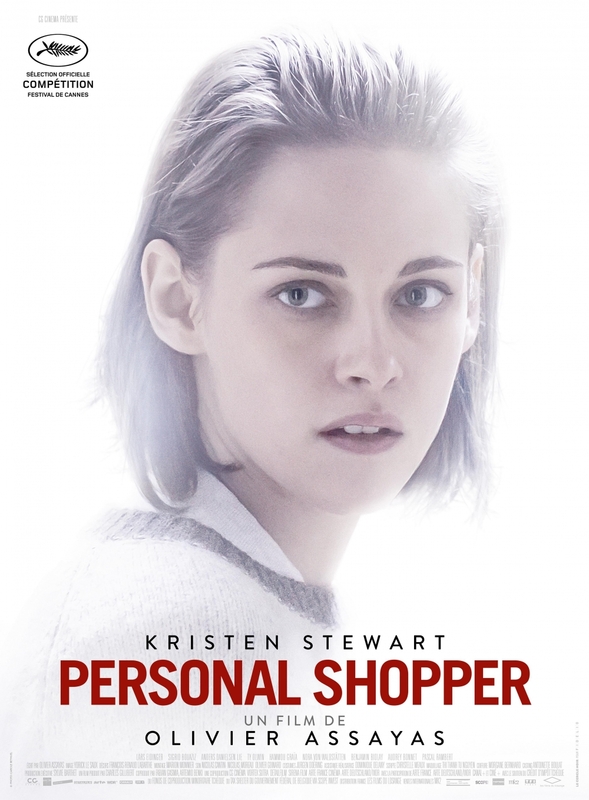 So, if you’re not particularly fragile, read nothing more about the film and watch it. If you feel, you need more information, read on, but beware: there will be SPOILERS. The documentary traces the development of creature special effects in film by interviewing various experts like Rick Baker, Joe Dante, Guillermo del Toro, Mick Garris, Alec Gillis, Steve Johnson, John Landis, Greg Nicotero, Kevin Smith, Phil Tippett, Chris Walas, Matt Winston and Tom Woodruff Jr. Le complexe de Frankenstein is an interesting documentary that gives a lot of background information on a part of filmmaking that is usually only noticed when it’s badly done, giving spotlight to the many enthusiastic people working on those effects. Pablo Neruda (Luis Gnecco) is a wanted man. Not only for his famous poetry, but also for his politics: having become a member and high-ranking official for the recently declared illegal Communist Party in Chile, the police try to capture him. It’s Detective Peluchonneau (Gael García Bernal) who gets tasked and increasingly obsessed with capturing Neruda, even as he tries to flee the country. 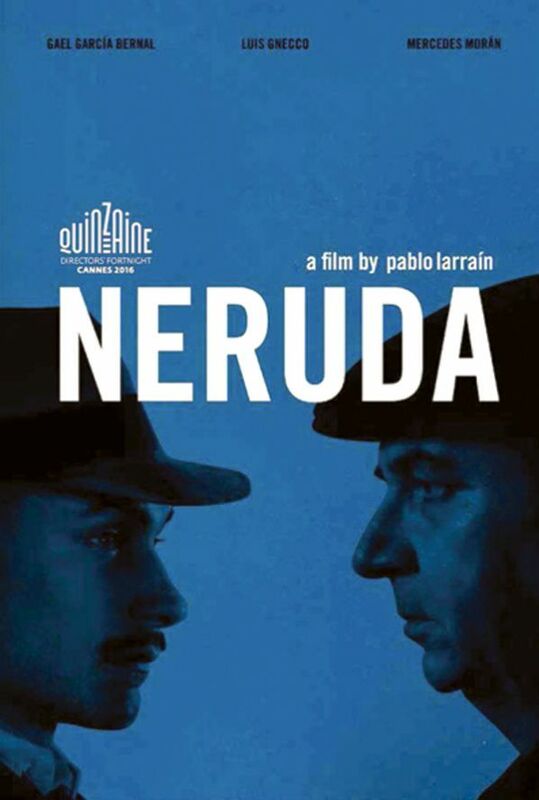 I probably wouldn’t have chosen to watch Neruda, given that I’m neither very familiar with his poetry, nor with Chilean politics, but that’s the risk you take with surprise screenings. With that caveat in mind, I thought that Neruda had some interesting ideas, but it didn’t really come together for me at all. Nathalie (Isabelle Huppert) is an enthusiastic philosophy teacher, married to Heinz (André Marcon) for 25 years and has two grown children. She pursues her job with passion above and beyond the call of duty, keeping in touch with former students like Fabien (Roman Kolinka) and publishing school books and essays. The rest of her time is pretty much devoted to caring for her mother (Edith Scob). But then the rug gets pulled out from under her feet. In quick succession, Heinz announces he’s leaving her for another woman, her publisher announces that they can’t afford to publish her things anymore, and her mother moves into a home. Nathalie finds herself suddenly confronted with more liberty than she ever had in her life. 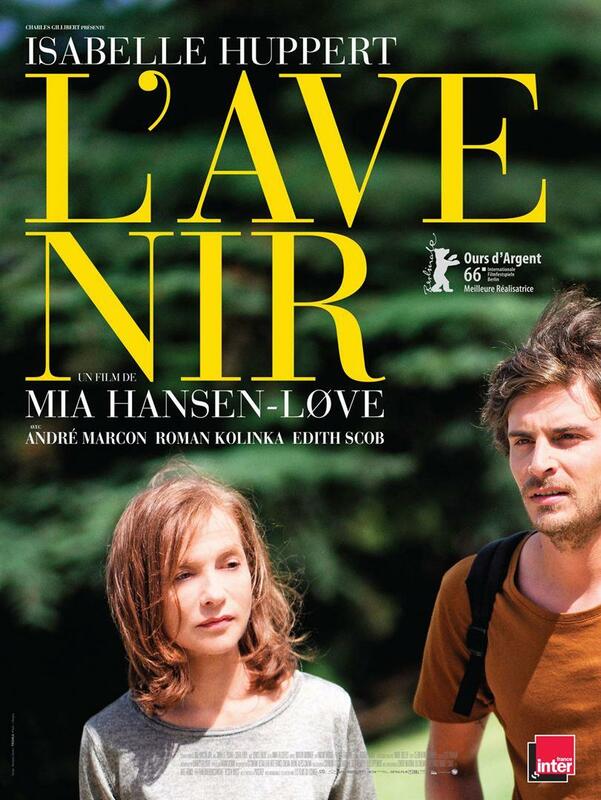 While I appreciate the story, L’avenir is telling, unfortunately it left me pretty cold, despite a great performance by Isabelle Huppert. 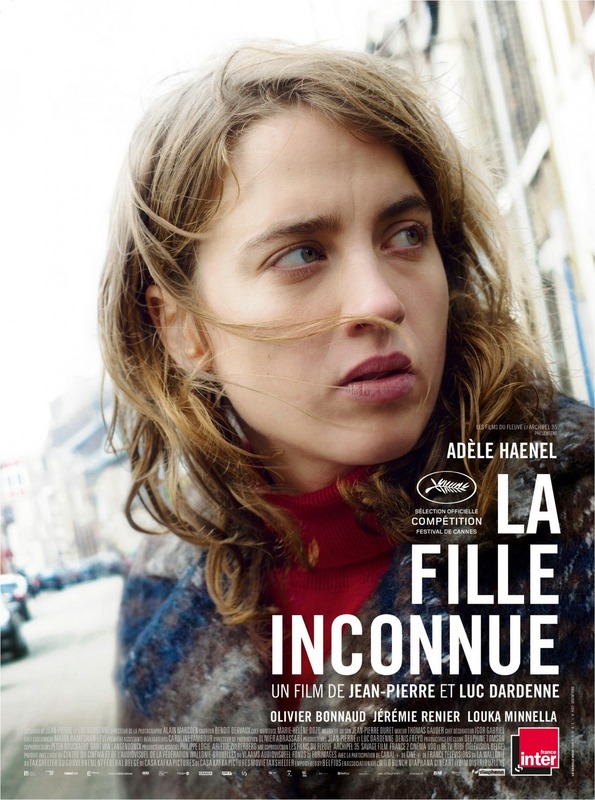 Jenny (Adèle Haenel) runs a clinic in a rather poor area of town that she just took over from a now retired doctor. She’s the only doctor in the clinic and does her best,but also knows that she has to fight for her boundaries. So when the bell to her clinic is rung shortly after closing time, she ignores it, despite being still there. The next day, police show up at the clinic, informing her that they found the body of a dead young woman and they don’t know who she is. But it appears that it was her who rung the bell. Jenny is shocked and becomes obsessed with finding out who the woman was and what happened to her. La fille inconnue was the perfect Double Feature with I, Daniel Blake. 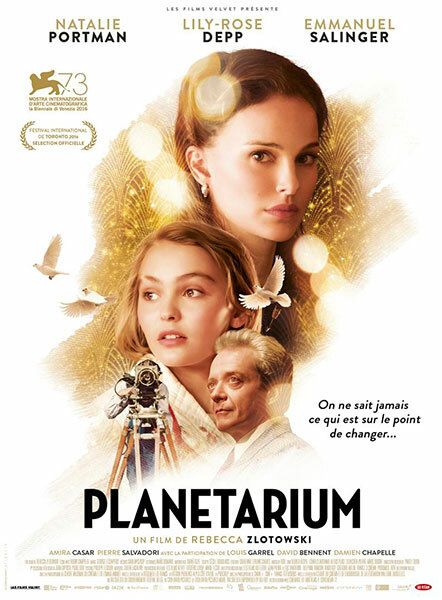 Like that film, it’s sociopolitical cinema that wears its heart on its sleeve and is absolutely (emotionally) engaging. Daniel (Dave Johns) has worked all his life – until he had a heart attack. Now his doctors haven’t cleared him to work yet, but after completing a standard questionnaire at the employment agency, they disagree. Now Daniel is caught in a conundrum: he can’t claim support on the basis on health issues because he is deemed healthy enough to work, but neither can he claim unemployment benefits because he can’t actually look for work. Caught in the bureaucracy he finds Katie (Hayles Squires), a single mother of two who just had to move to Newcastle and away from her entire support network or risk losing the government housing and support she so desperately needs. Daniel and Katie start facing this inhumane conditions together. I, Daniel Blake is political cinema at its finest. 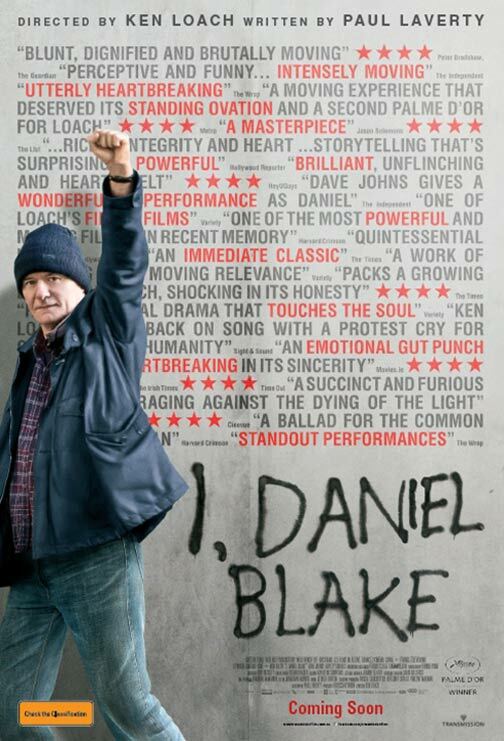 It’s emotional, realistic and a damning statement about what’s left of the welfare system in the UK. If you don’t go out of the film ready to tear down neoliberal austerity politics, I really don’t know what’s wrong with you. 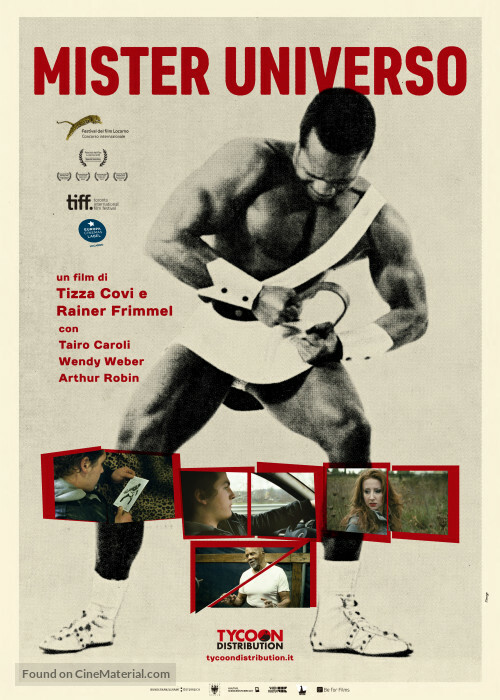 Tairo (Tairo Caroli) is a lion tamer in a small circus traveling through Italy. The circus is struggling and Tairo is struggling with him. His elderly animals aren’t all that strong anymore and he probably won’t get new animals. And then Tairo loses his talisman, a piece of iron he got from Arthur Robin (Arthur Robin) who was once crowned the first black Mister Universe and now works in a circus himself. Hoping to get his luck back when he gets a new talisman from Arthur, Tairo sets out to find him. Mister Universo tells a fictional story with real people and this blend of documentary and fiction becomes pretty magical. I really loved it.